Cabinet met on Wednesday, 23 May 2018, at Tuynhuis, Cape Town. Cabinet strongly condemns the violence against women and children. Â The most recent cases of Nonkululeko Mpanza and Nompumelelo Mhlongo in Thokoza, Ekurhuleni; Katlego Joja, in Mamelodi, Tshwane; Promise Mthembu in KwaZulu Natal; and Jabulile Nhlapo, the Unisa student brings into sharp focus the level of violence that threatens the lives of our women and children. Cabinet expresses its deepest condolences to the families and friends of these women and children. The issue of crime against women and children requires all of us to actively be involved in fighting it. Â Cabinet continues to strengthen law enforcement agencies in the fight to stop gender based violence. Amongst the bills approved in this last cabinet is the Criminal Procedure Amendment Bill of 2018, which amends the Criminal Procedure Act 51 of 1977. The Bill will extend the list of sexual offences in respect of the prosecution and significantly it will allow the sexual cases to go before Courts even after 20 years. These interventions add to a number of measures that government has already put in place.Â A total of fifty four Thuthuzela Care Centers across the country, have been opened to serve as a one stop facility to reduce secondary victimization and reduce the time of finalizing sexual cases. 1.3Â Child Protection Week will be held from 27 May to 2 June 2018, Cabinet calls on parents, guardians and communities to work with law-enforcement agencies to protect our children. Cabinet reiterates that if you suspect your child is missing you must immediately report to your nearest police station. 1.4Â We must work together as a peace-loving and law-abiding society to tackle all crimes against women and children.Â Cabinet calls on those aware of any crimes against children to contact the toll- free Childline on 0800 055Â 555 or Crime Stop on 086 0010111. If you are a woman in distress or if you are aware of a woman in distress, the GBV Command Centreâ€™s toll-free number is 0800 428Â 428 or (O800 GBV GBV). 1.5 Cabinet calls on all of us to work together to do more to prevent violence against women and children, support survivors of abuse and bring perpetrators to justice. It is the duty of everyone to report those who hurt, exploit and abuse women and children so that the perpetrators can be arrested and convicted. Cabinet welcomes the positive growth in employment of two hundred and six thousand jobs reflected in the first quarter of 2018, from the latest Quarterly Labour Force Survey released by Statistics South Africa (Stats SA).Â The upswing in employment was driven by increases in six of the ten industries.Â The unemployment rate amongst our young people however remains high at 52.4 % with an absorption rate of only 12.2 %. Â Cabinet calls on sectors of society to continue to pull together to tackle youth unemployment. In the spirit of â€˜Thuma Minaâ€™Â Â inspired by President Cyril Ramaphosa in his maiden State of the Nation Address in February 2018, Cabinet calls on all South Africans, in particular the private sector, to help create jobs and invest locally so that more South Africans can be drawn into the economy. Cabinet welcomes as a milestone the launch of the Xina Solar One Concentrated Solar Power Project in the Northern Cape. It is one of seven Concentrated Solar Power Projects under the Department of Energyâ€™s Renewable Energy Independent Power Producer Procurement Programme (REIPPPP). The Xina Solar One plant will provide clean energy to Eskom under a 20 year power purchase agreement.Â This will translate into 95 000 South African households receiving clean energy especially during peak hours. Cabinet received a second report from the Inter Ministerial Committee (IMC) on North West andÂ Â is satisfied with the progress in stabilizing the province. In its previous meeting Cabinet approved that North West Province be placed under Section 100 (1) of the Constitution of the Republic of South Africa of 1996.Â Cabinet also increased the members ofÂ Â IMCÂ Â with the Ministers of Basic Education; Public Service and Administration, Human Settlements, Social Development, Tourism; Environmental Affairs and Transport. The IMC was asked to do further work in the Province and advise cabinet on which of the provincial departments should be placed under Section (1) (a) or section 100(1) (b) of the constitution. Cabinet approved that the necessary correspondence be sent to the National Council of Provinces (NCOP) and that communication with the relevant stakeholders in North West should take place.Â Â The investigative work of the Justice Crime Prevention and Security Cluster (JCPS) to continue on all those matters that require the law enforcement agencies to intervene. 5.1 Cabinet condemned in the strongest terms the acts of violent aggression carried out by Israeli armed forces along the Gaza border, which led to the deaths of a large number of civilians. Given the indiscriminate and grave manner of the latest Israeli attack, the South African government made a decision to recall Ambassador Sisa Ngombane until further notice. 5.2 Cabinet calls on the Israeli Defence Force to withdraw from the Gaza Strip and bring to an end the violent and destructive incursions into Palestinian territories. Their routine actions present yet another obstacle to a permanent resolution to the conflict, which must come in the form of two states, Palestine and Israel, existing side-by-side and in peace. 5,3 Cabinet reiterates calls made by several member states of the United Nations for an independent inquiry into the killings, with a view to hold those responsibleÂ Â accountable. Cabinet is deeply concerned by the resurgence of CIT heists and rejects this blatant criminality.Â We further commend law enforcement agencies for their swift response in apprehending suspects and thank members of the public who assisted law enforcers with these arrests. Members of the public who may have prior information are urge to lend a hand and contact the law enforcement agencies. Cabinet approved the establishment of a Presidential State Owned Enterprises Council to be chaired by President Cyril Ramaphosa.Â The broad terms of reference is to reposition the State Owned Enterprises as effective instruments of economic development. The PSEC will provide political oversight and strategic management. Amongst its focus will be to strengthen the governing framework of the State Owned Enterprises and ensure that the SOE specific interventions are implemented to stabilise these companies. The IP Policy Phase I is informed among others by the Constitution, the NDP, the National Drug Master Plan, the National Industrial Policy Framework and the various iterations of the Industrial Policy Action Plan. It will serve as an important policy instrument in promoting innovation, technology transfer, research and development, creative expression, consumer protection, industrial development and more broadly, economic growth. Cabinet approved the ratification of the Treaty on the Prohibition of Nuclear Weapons by Parliament. The Treaty is the culmination of humanitarian initiative on nuclear weapons launched in 2010. It is a strategic intervention in the area of nuclear disarmament and the long-standing impasse in multilateral nuclear disarmament negotiations. The Treaty is fully aligned to South Africaâ€™s long-standing disarmament policies, domestic legislation and international obligations. Cabinet approved the Amendment to the Convention on the Physical Protection of Nuclear Material, to be tabled in Parliament. The Convention on the Physical Protection of Nuclear Material is the only legally binding international instrument in the area of physical protection of nuclear material. The amended convention is an important milestone in international efforts to improve the physical protection of nuclear materials and facilities by setting common standards of protection. Cabinet approved the co-hosting of the 10th International Conference of the Ombudâ€™s Institutions of the Armed Forces, by the Office of the Military Ombud, which is scheduled for October 2018. This is an annual event organised by the Centre for the Democratic Control of the Armed Forces, based in Geneva, Switzerland, and will for the first time be co-hosted in Africa. Cabinet approved the Medical Schemes Amendment Bill of 2018 to be published in the Government Gazette for public comments. The Bill amends the Medical Schemes Act 131, 1998 to align it with the National Health Insurance White Paper and the Draft National Health Insurance Fund Bill.Â The Bill amongst others seeks to improve the regulation of the medical schemes industry and to also align the regulatory framework to the changes that have taken place over the past decade in the sector. This Bill will also ensure that beneficiaries are better protected and promotes better access to private health funding. These amendments will increase the financial resources available to provincial hospitals to provide health care services. Cabinet approved the publication of the National Climate Change Bill of 2018 for public comment. The Bill allows for the alignment of policies that influence South Africaâ€™s climate change response.Â It will ensure, the countryâ€™s transition to a lower carbon and climate resilient economy. This is an additional step in South Africaâ€™s efforts to implement the national Climate Change Response Policy, to promote sustainable development, and to fulfill the right to an environment that is not harmful to health or wellbeing as enshrined in our Constitution. Cabinet approved the introduction of the Criminal Procedure Amendment Bill ofÂ Â 2018, which amends the Criminal Procedure Act 51 of 1977 into Parliament. The proposed amendment Bill will extend the list of sexual offences in respect of the prosecution and significantly it allows for the charges to be instituted even after 20 years.Â The amendments give effect to the South Gauteng High court judgement in the Levenstein case. The case declared Section 18 of the Criminal Procedure Act 51, 1977 inconsistent with the Constitution and invalid to the extent that it bars, in all circumstances the right to institute a prosecution for all sexual offences, other than those listed in section 18 (f), (h) and (i) of this Act after the lapse of 20 years from the time when the offence was committed. The amendments will allow the National Prosecuting Authority wider discretion to institute prosecutions in sexual offences in accordance with Chapter 2 of the Constitution. President Cyril Ramaphosa will deliver the Nelson Mandela Africa Day Centenary Lecture at the Africa Renaissance Conference, on 24 May 2018 at the Inkosi Albert Luthuli International Convention Centre in Durban. The event forms part of the yearlong centenary commemorations of the lives of our first democratic President, Tata Nelson Rolihlahla Mandela and Struggle icon Mama Albertina Nontsikelelo Sisulu, which are taking place across the continent and the globe. Africa Day is held annually on 25 May across the continent to mark the founding of the then Organisation of African Unity â€“ now known as the African Union â€“ in 1963. It is a celebration of Africaâ€™s diversity and a call for unity in the continent. South Africa is celebrating Africa Day with a month-long Africa Month festival of activities that are celebratory and educational, with political and socio-economic benefits for the people of South Africa and the Continent. The theme for Africa Month is: â€œA Year of Nelson Mandela â€“ Building a Better Africa and a Better Worldâ€. Cabinet expressed condolences to the family and friends of the late veteran photographer and recipient of the National Order of Ikhamanga, Mr Sam Nzima, who used his camera to expose the brutality of apartheid rule. He will be remembered for his iconic photograph of Hector Pietersonâ€š on 16 June 1976, which forced the world to take notice and act against the brutal apartheid regime. Cabinet extends its deepest sadness and condolences to the family of Dr Phillip Nchipi Tabane, who passed on after a long illness on 18 May 2018. As a founding member of the Malombo Jazzmen, he was one of South Africaâ€™s most talented musicians. Cabinet conveys condolences to the family and friends of Mr Sonwabo Eddie Funde who was the former South African Ambassador to Germany and Chairperson of the South African Broadcasting Corporation (SABC). Cabinet is deeply saddened following the deaths of two young girls who were killed after a wall collapsed in Durban.Â We extend our heartfelt condolences to their families. Cabinet commends Vusumuzi Ndlovu who came seventh in the S. Pellegrino Young Chef 2018 awards that recently took place in Milan. His accomplishment has made South Africa proud. Cabinet congratulates the newly crowned International Boxing Federation (IBF)â€š World Boxing Association (WBA) Super and the Ring Magazine junior flyweight champion Hekkie “Hexecutioner” Budler, who became the first South African to hold two major world crowns simultaneously after winning the IBF and WBA junior-flyweight titles. All appointments are subject to the verification of qualifications and the relevant clearance. Ms Nomzamo Bhengu (Department of Tourism representative). Mr Dinizulu Kumalo Percival Sechemane as the Chief Executive officer of Rand Water. 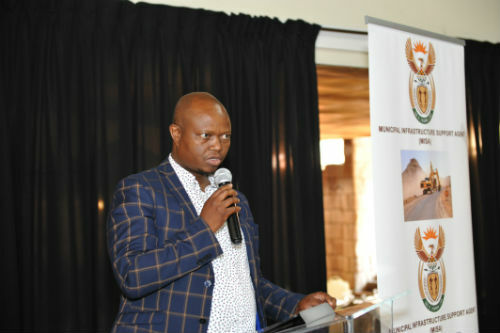 Mr Goodman Ntandazo Vimba as the Chief Executive Officer (CEO) in the Municipal Infrastructure Support Agent at the Department of Cooperative Governance and Traditional Affairs. Mr Lindokuhle Cedric Mkhumane as the Deputy Director General: Enterprise Development and Entrepreneurship at the Department of Small Business Development. Mr Phakamani Hadebe as the Group Chief Executive (GCE) of Eskom Holdings SOC Ltd (Eskom) and ex officio member (Executive Director) of the Board. © Department of Cooperative Governance and Traditional Affairs. 2019 | All rights reserved.